Although more than a quarter of Canadians consider real estate the most attractive investment this year, few actually believe they can invest in the country’s red-hot market according to a recent survey. Over 71 per cent of Canadians say they wouldn’t be able to afford to invest in a property worth $1 million – the average price of a detached home in Toronto – while nearly four-out-of-five (79.8 per cent) of those in the 25 to 34 age group say the investment is too much, says the Google survey conducted by NexusCrowd, a real estate investment platform. Chief among Canadians concerns with investing in real estate is the cost followed by aversion to risk, worries the real estate bubble might burst and a lack of expertise. NexusCrowd allows accredited investors to co-invest starting at a $10,000 buy-in alongside institutional investors in deals that have reached at least 50 per cent of their funding target. It’s crowdfunding for real estate deals. 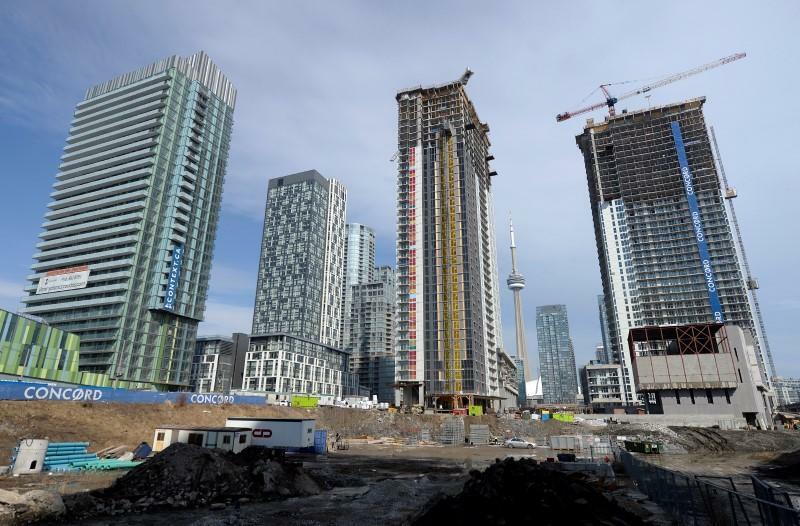 Since launching in September, the platform has already funded several commercial and residential properties in the GTA. While it’s clear the survey is NexusCrowd’s way of getting more eyes to the platform, Rathad does have a point: the real estate market’s dizzying valuations in major cities like Toronto and Vancouver has been a focus for the media both at home and abroad. And with the B.C. government approving a plan this week for Vancouver to tax owners of vacant residential properties in an effort to help stifle housing affordability woes, real estate investment continues to look risky. But it doesn’t have to be, says Rathad pointing out that there are a myriad of options out there for savvy Canadians looking to get into real estate without having to be the sole investor. Mortgage investment corporations, for instance, enable you to invest in a company which manages diversified and secured pools of mortgages. Another option is a Real Estate Investment Trust – colloquially known as a REIT. These publicly traded organizations invest predominantly in income-producing real estate assets, providing investors with attractive yields and capital appreciation. The big ones on the TSX in Canada are the diversified Canadian REIT which invests in a little bit of everything, the RioCan Real Estate Investment Trust, which focuses on retail, Northwest Healthcare Properties REIT, which as its name suggests, targets the medical office and hospital sector with properties in Canada, Brazil, Australasia, and Germany. “The issue with some of these is they are very diversified and as an individual you don’t really get to pick and choose which specific real estate asset you’re invested in,” says Rathad. He points out that while the Canadian real estate crowdfunding market is a bit behind the global market with regulators being slow to define the rules, he’s hopeful it’ll catch up.